“With today’s busy lifestyle and growing concerns about the environment, Malaysians are becoming increasingly aware of the need to find easy, yet effective solutions to maintain a healthy living,” says Eddie Ong, Director, Sales Organisation Leader, Philips Consumer Lifestyle, during the launch of Philips Pure Water Dipenser today at Laundry Bar, The Curve, Mutiara Damansara. PETALING JAYA, MAY 7, 2008 – Water represents a fundamental part of our lives as it is an essential element for human survival. However, it is equally important for the health-conscious to have pure and healthy water and this is now possible thanks to the new Philips Pure Water Dispenser. Philips Electronics, the global leader in healthcare, lighting and consumer lifestyle has introduced its latest innovation which harnesses the power of sun rays to purify water in the most revolutionary way by using Ultraviolet (UV) light purification. Reputed to be the largest lamp manufacturer in the world, Philips has developed a state-of-the-art UV lamp which utilises advanced UV (PL-S) technology to destroy viruses, bacteria, parasites and amoebae in water. With Philips’ 100 years of expertise in lighting technology, consumers can be assured of the quality and efficacy of this UV lamp. 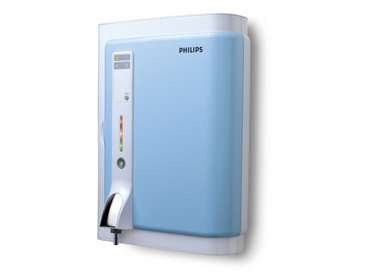 The Philips Pure Water Dispenser also stands out from other water purifiers in the market due to its uniquely designed ‘Duo Filter’. It is a customised sediment and carbon block filter combined into one unit that improves taste and removes turbidity, chlorine, volatile organic chemicals, cysts and larger micro-organisms found in tap water. As there is only one single element to replace, reduced effectiveness or failure is eliminated and consumers will find it much easier to maintain. UV-based purification has proven to be a highly successful and popular method to treat drinking water in Canada, the United States, Germany, Japan Korea, Norway and Finland and is often used in hospitals and laboratories. “Unlike ordinary water purifiers, maintenance is hassle free thanks to the ‘Tilt & Twist’ mechanism which is user-friendly and a DIY fan’s dream as there is no need for a technician to do the filter replacement. While the ‘Duo Filter’ has a lifespan of six months and costs only RM125, the UV lamp’s lifetime is up to 9,000 hours (approx. 7 years), which results in even greater cost savings,” explains Tea Lai Sin, Customer Marketing Manager, Philips. The Philips Pure Water Dispenser also possess other unique features such as the PureProtect Alert which notifies consumers when the filter needs replacement; the PureProtect Lock which locks the system and stop the unit from dispensing unpurified water and the IntelliFill which enables dispensing of water up to the amount pre-set. 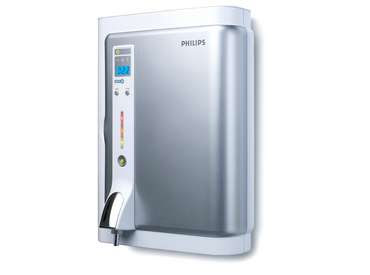 Additionally, the Philips Pure Water Dispenser is awarded with the Water Quality Association (WQA) Gold Seal, Class A certification. WQA is a non-profit international trade industry association and the Class A certification indicates that the water purifier has been designed to disinfect microbiologically contaminated water and meets all other public health standards. The Gold Seal proves that the product has met or exceeded industry standards for contaminant reduction, structural integrity and material safety. The Philips Pure Water Dispenser comes in a sleek, elegant design that embodies the best of European technology and style. It is available at major electrical and electronic stores and retails at RM1,499 in West Malaysia and RM1,599 in East Malaysia for the UV Pure Water Dispenser with IntelliFill WP3892 model and RM1,299 in West Malaysia and RM1,399 in East Malaysia for the UV Pure Water Dispenser WP3890 model. For more related information, consumers can contact Philips Customer Hotline at 1800-880-180.